This is a beautiful handmade Polished Horn pair, made from OX Horn. Viking drinking horn. because every horn is unique in nature in color and design but that will be certainly of high quality product with high class horn material. VINE BRANCH HANDLE JUG - BEER STEIN STYLE TANKARD CERAMIC JUG. ANTIQUE POTTERY EMBOSSED DEER HUNT FOREST SCENE. CHIP AND HAIRLINE CRACK. From the Franziskaner brewery. — I/We ( ) hereby give notice that I/We ( ) withdraw from my/our ( ) contract of sale of the following goods ( )/for the provision of the following service ( ). You have the right to withdraw from this contract within 1 month without giving any reason. 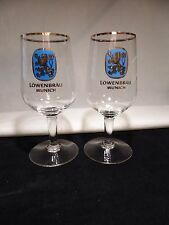 From the Lowenbrau brewery. — I/We ( ) hereby give notice that I/We ( ) withdraw from my/our ( ) contract of sale of the following goods ( )/for the provision of the following service ( ). You have the right to withdraw from this contract within 1 month without giving any reason. These are beautiful handmade Polished Horn cup, made from real Horn. because every horn is unique in nature in color and design but that will be certainly of high quality product with high class horn material. Viking drinking horn. This is a beautiful handmade Polished Horn pair, made from OX Horn. because every horn is unique in nature in color and design but that will be certainly of high quality product with high class horn material. I have a very large and heavy Glazed Stoneware Beer Stein. It has been printed on each side with "Old Footballers never die. They just go off side.". This is cream colour with blue writing. Stoneware Beer Stein 'Old Footballers Never Die They Just Go Off side'. Viking drinking horn. These are beautiful handmade Polished drinking Horn, made from real Horn. because every horn is unique in nature in color and design but that will be certainly of high quality product with high class horn material. Viking drinking horn Pair. These are beautiful handmade Polished drinking Horn, made from real Horn. because every horn is unique in nature in color and design but that will be certainly of high quality product with high class horn material. Viking drinking horn Tankard. These are beautiful handmade Polished Horn cup, made from real Horn. because every horn is unique in nature in color and design but that will be certainly of high quality product with high class horn material. This is a beautiful handmade Polished Horn pair, dressed with brass fittings, made from OX Horn. Viking drinking horn with stand and leather strap. These are beautiful handmade Polished drinking Horn, made from real Horn. because every horn is unique in nature in color and design but that will be certainly of high quality product with high class horn material. Handmade Polished Horn, made from Ox Horn. but that will be certainly of high quality product with high class horn material. ---This is a beautiful & Stylish Mug---. From the Weihenstephan brewery. — I/We ( ) hereby give notice that I/We ( ) withdraw from my/our ( ) contract of sale of the following goods ( )/for the provision of the following service ( ). You have the right to withdraw from this contract within 1 month without giving any reason. 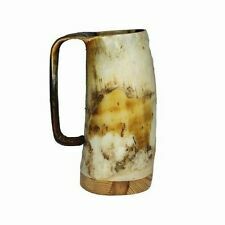 Genuine Quality Drinking Horn Mug From Natural Material. 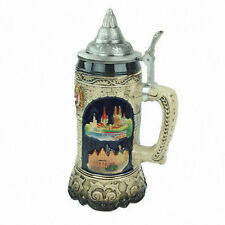 Drinking Horn Mug can be used for Water, Wine, Ale, Beer. Traditional Drinking Horn Mug, Glasses, Vessels. REAL HANDMADE DRINKING HORN Bar Mugs. Material: Horn. Stand Size: 5 x 3.2 x 3. Handmade Item. Brass dressed Viking Drinking Horn with hand forged stand. Handmade Polished Horn, made from cattle Horn. Each piece is truly unique with natural horn colors and patterns on display. but that will be certainly of high quality product with high class horn material. TIGER BEER. BLACK T-SHIRT. FULL LENGTH IS 70 CM. ROYAL SELANGOR PEWTER BEER MUG. Viking Drinking Horn Mug. WHOLESALE LOT AVAILABLE. 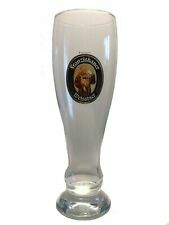 Drinking Horn Glass can be used for Water, Wine, Ale, and Beer. Made from 100% Real OX Horn. Genuine Quality Drinking Horn Mug from Natural Material. PRODUCT DETAILS. POLISHED BUFFALO CAP. Each horn is hand-polished to perfection and because of it's natural make-up each one is entirely unique. The viking drinking mug has been polished and sealed to keep the horn beautiful brass crafted and leak free. Brass dressed Viking Drinking Horn with celtic logo carved wooden stand. Handmade Polished Horn, made from cattle Horn. Each piece is truly unique with natural horn colors and patterns on display. but that will be certainly of high quality product with high class horn material. From the Allgauer Buble brewery. — I/We ( ) hereby give notice that I/We ( ) withdraw from my/our ( ) contract of sale of the following goods ( )/for the provision of the following service ( ). You have the right to withdraw from this contract within 1 month without giving any reason. What will you get --- Single Piece Horn. A Fine quality Handmade Item. 100% Hand Crafted in India. Stark House wolf Logo Hand Engraved. Tree of Life engraved Viking Drinking Horn Cup Tankard. 100 % AUTHENTIC VIKING FEEL. EACH HORN MUG A UNIQUE PIECE OF ART. Material : Horn & Brass. 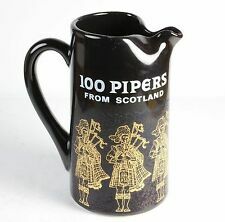 This is a Reproduction Item, Not Sold As Antique. Weight. 250 kg Approx. All Work is Hand Made. • These are beautiful handmade Polished Horn mug, made from Cattle Horn. • Real product may differ from given photograph in color and texture but that will be certainly of high quality product with high class horn material. This is beautiful handmade Polished Horn Mug, made from cattle Horn. It is carefully polished and cleaned, top quality drinking horn that is safe to drink from. Real product will differ from given photograph in color and texture because every horn is unique in nature in color and design but that will be certainly of high quality product with high class horn material.